Democratic Republic of Congo (DRC) is a vast, under-developed Central African country of over 78M people. Decades of political instability, extreme poverty, gender inequity, and human rights violations have limited advances in health, wellbeing, and economic opportunity—especially among rural women. However, even in the context of these adversities, the Congolese demonstrate resilience in building their futures, looking for opportunities to invest in the success of their families and communities. Rural communities of primarily subsistence farmers, struggle to provide for their families. As most lack the collateral necessary to access credit from traditional financial institutions to increase their production, asset transfer and microfinance programs have gained traction, providing a viable way to address the connection between health, social, and economic wellbeing of individuals, families, and their communities. PFP began as a collaboration between PAIDEK, a local Congolese micro-finance organization, and US-based Johns Hopkins University School of Nursing. Over a ten-year period, a public health research study looked at the relationship between improved economic opportunities in rural communities, and its impact on gender equality, intimate partner violence, mental health, and environmental sustainability. 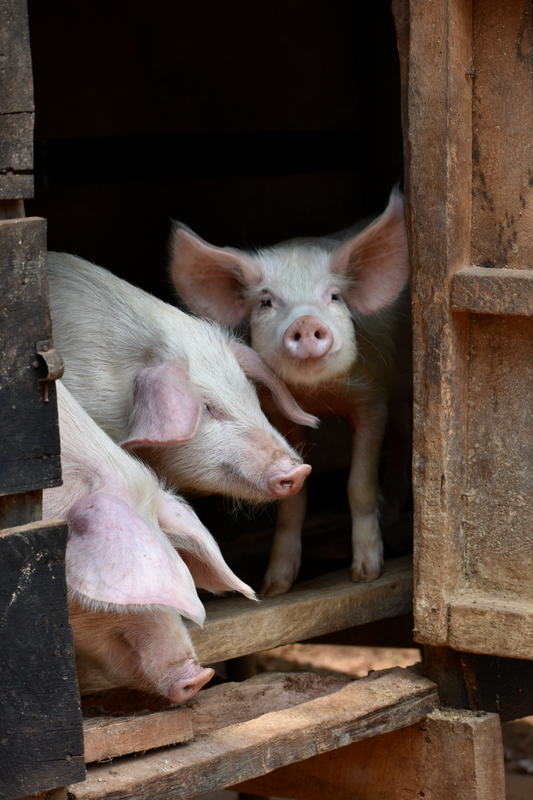 Originally known as the “Pigs for Peace Demonstration Project”, the research project has evolved into an independent, locally-managed social impact enterprise called Promotion De La Famille Paysanne, or simply PFP. It aims to sustain its effective livestock microfinance program, expand its reach through the region, and continue developing new income generating activities that can advance the women, families, and communities they serve. The ultimate goal is to promote greater self-sufficiency, pride, and solidarity by empowering people to improve their own situations and break the cycle of extreme poverty. 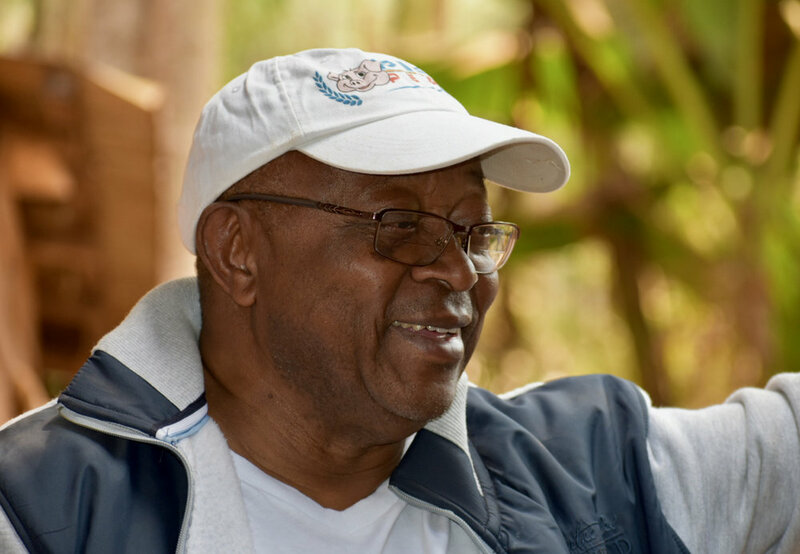 As PFP’s co-founder and director, Mr. Mitima Mpanano Remy oversees a team of 12 Congolese field agents, managing sites across 30 villages, a pig & rabbit farm, and a central butcher’s marketplace—situated near Bukavu in the South Kivu Province of Eastern DRC. The local PFP Congo team works in close collaboration with initiative co-founder Dr. Nancy Glass, who serves as lead research investigator, fundraiser, and advisor with participation from colleagues at Johns Hopkins University’s School of Nursing. Each year she makes several visits to the DRC to work with the team.